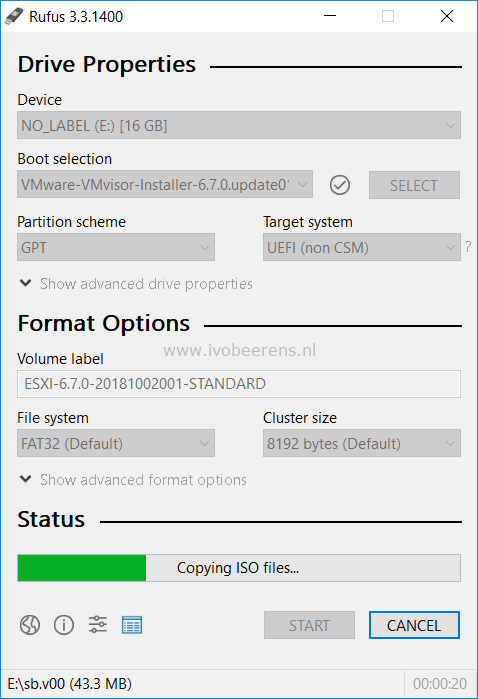 My favorite tool to create a VMware ESXi USB stick/key is Rufus. I use Rufus because it’s small, fast, Windows based, open sourced and the tool is still updated frequently. Data on the USB key will be destroyed. When the progress status bar is READY, the VMware ESXi bootable is created and ready to boot. 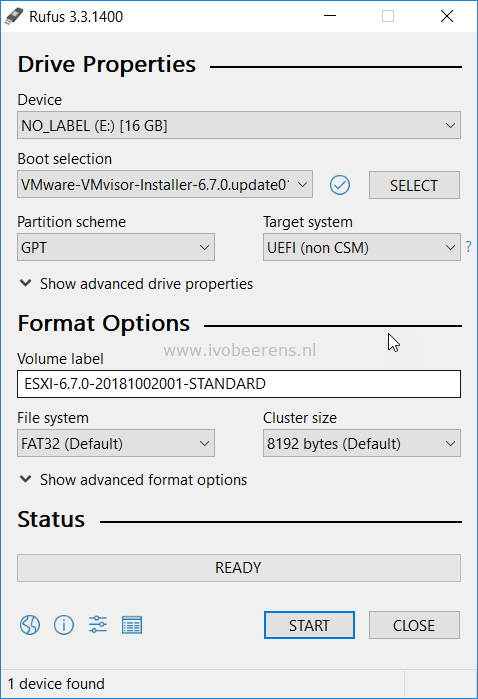 I tested the creation of the ESXi USB stick with the latest version of ESXi 6.7 U1. 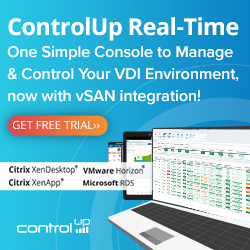 What Windows 10 version for my VDI desktop?